Trying to show off your prowess as a battle-forged warrior? Then you should try your hand at being a gladiator in the Colosseum! Oh, wait a second. You might just be a few centuries too late for that, but you can still DRESS like a gladiator while proclaiming your mighty skills as a combatant. All you need is the will of a warrior, an epic tale to tell and, of course, the right footwear to accompany you on your epic journey. These Deluxe Gladiator Sandals make your feet feel ready to enter the ring as Roman gladiator! (You'll have to get a costume to make the rest of your body feel combat ready!) 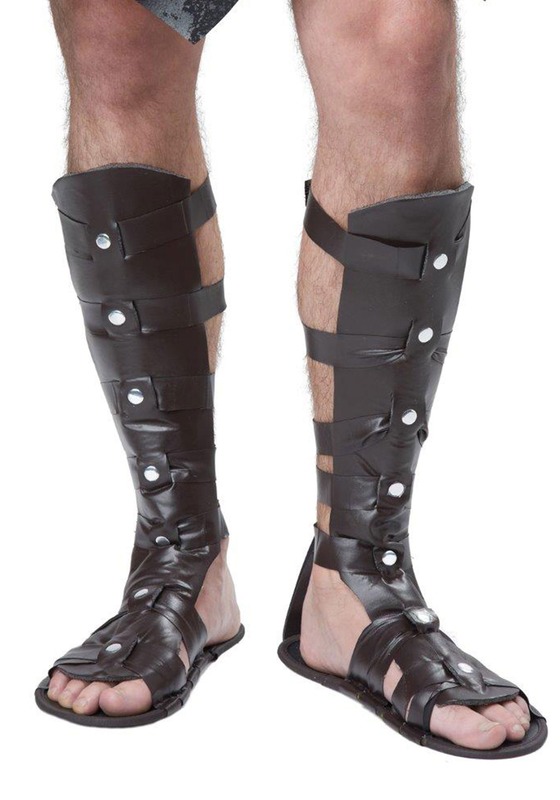 With a faux leather design and straps along the shins, these sandals have a look reminiscent of something that might be worn during an intense battle inside the Colosseum! Of course, you can always just wear them to your next costume party if you like.